After a diagnosis of metastatic melanoma, it can be difficult to understand the different treatment options that are available. Every case is unique and there is no single answer for which treatment may be best for you. But it is important to be an active participant in your own treatment journey, or that of your loved one, and understand the options that may be available. Having a discussion with your doctor can help determine the best path forward. There are several factors that your doctor should consider when recommending the best course of treatment for you. This includes your general health and stage of the disease, which is determined in part by the extent to which the cancer has spread. Your doctor may also consider how aggressive your disease is or how quickly it appears to be progressing, and if it requires symptomatic relief. Additionally, he or she may do a test to determine the BRAF status of your tumor. The test would determine if your tumor contains a mutated BRAF gene, which is found in about half of all metastatic melanoma patients. Among the options your doctor may recommend are surgery, radiation, chemotherapy, immunotherapy or targeted therapy. He or she may also suggest that you enroll in a clinical trial. Chemotherapy involves drugs that travel through the bloodstream to kill cancer cells and may be taken orally or injected into the vein. Immunotherapy works by boosting the body’s own immune system to fight cancer. Typically, when viruses or bacteria enter the body, the immune system can recognize and neutralize them. But in the case of cancers like metastatic melanoma, the immune system may need help combating the cancer cells. Targeted therapies are another type of treatment that zero in on a specific cancer biomarker or genetic mutation. By focusing on the mutation, they attempt to attack the abnormal cells while sparing healthy ones. Targeted therapies are generally prescribed following genetic testing, as they are designed to work on specific mutations that may be found in some metastatic melanoma patients. When it comes to metastatic melanoma, no one treatment is right for everyone. 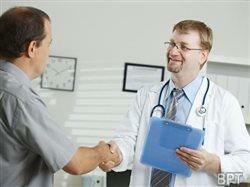 But having an open discussion together with your doctor can help ensure the best treatment plan is chosen for you.